Exclusive Chauffeur, LLC works closely with each couple to personalize their wedding day. We plan out the hour-by-hour logistics and there is not a request that we cannot accommodate. Our drivers are polished, our vehicles are well-maintained and spotless, and as always are customer service is impeccable. Established in 2015, Exclusive Chauffeur, LLC has made a name for itself through the hard work and diligence of every team member. Team members have as much influence in the business as do the owners, as do the customers. Exclusive Chauffeur is truly excited to be part of your so-very special day. The Holiday Inn® Saratoga Springs would be honored to host your special event and make all your wedding dreams come true. Whether you envision a small intimate setting or a large formal celebration, our professional staff will help you create a memory to last a lifetime. We offer a complete wedding package featuring overnight rooms, on-site ceremony space, delectable cuisine and on-site services designed to exceed your expectations. Additionally, you will enjoy our personal, attentive bridal consultation designed to ensure the success of every aspect of your wedding. We cater to many off-site venues including but not limited to: The National Museum of Racing & Hall of Fame, The Canfield Casino, National Museum of Dance, The Saratoga Auto Museum and the Saratoga Springs City Center. 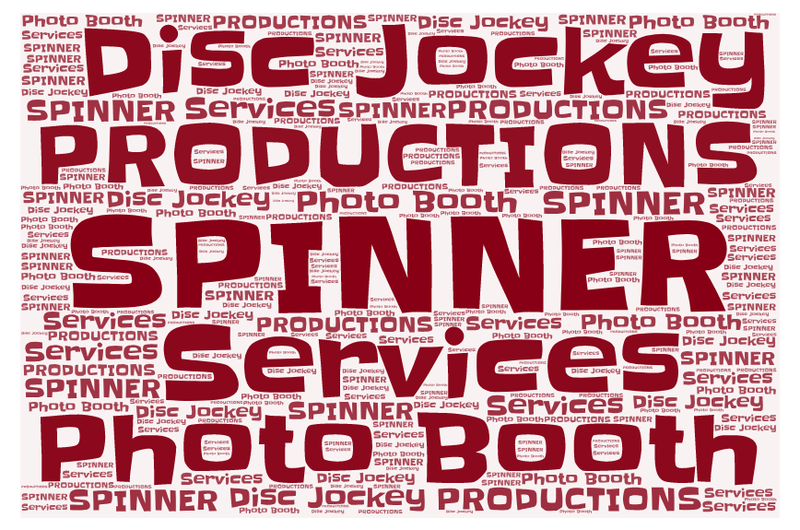 When I started Spinner Productions 30 years ago it was because I knew that I wanted a business that involved people and weddings…as a DJ, when I can get a room full of various people, that may or may not know each other, up on the dance and having a good time, then I consider my job to be a success. I LOVE making people happy about dancing. Similarly, when it comes to the photo booth…just seeing the way people enjoy the silliness and fun that they can have in the front of the camera is such a fantastic gift that not only I get...but that you can give your guests. At WHEATFIELDS we realize that each event whether it is a rehearsal dinner, bridal luncheon, corporate meeting, baby shower, birthday, graduation, anniversary, or retirement party is unique. This packet is merely the beginning, and is intended to give you and overview of our facilities and your options. We tailor our services and facilities to meet your specific needs and wishes. Our professional, knowledgeable, flexible, and friendly staff will assist in creating memories that you and your guests will treasure for a lifetime. If you have any questions regarding the enclosed materials, please give us a call, 518-383-4444 or e-mail - catering@wheatfields.com. The Chocolate Spoon is a home-based baking business in Saratoga Springs NY, offering a variety of freshly baked cookies, teacakes and other treats. The proprietor, Marcie Place has been selling at the Saratoga Farmers’ Markets for the past 5 years. In addition to the markets, The Chocolate Spoon has been showcased in a variety of shops and restaurants in Saratoga, including Plum Dandy, Spring Street Deli, The Local and Taverna Novo. The Chocolate Spoon also offers personal baking for special events…a cookie bar for weddings, dessert tables for baby and bridal showers and cookie party favors for birthdays or out-of-town guests. The menu offers over 50 varieties of cookies including Iced Lemon Shortbreads, Raspberry Linzers, Ginger-Cayenne and Rosemary-Bourbon Chocolate Chip. Other treats include homemade chocolate and vanilla marshmallows, spiced bar nuts, banana cakes with brown butter frosting and just about any flavor cupcake you can imagine! Whether it’s an intimate reception for 10 or a grand event for 240, The Queensbury Hotel is the perfect place for your Wedding Reception. Built in 1926, the hotel is located in downtown Glens Falls and features beautifully appointed facilities with grand chandeliers, detailed architecture and a beautiful lobby with a marble fireplace and a baby grand piano. The Queensbury Hotel has complimentary parking, a public restaurant, full service lounge, indoor swimming pool with Jacuzzi, fitness room, barber shop, massage and facial therapy, shuttle, seasonal outdoor patio overlooking Glens Falls City Park and 124 sleeping rooms to provide convenience and comfort for out of town guests. Our team of professionals, from our Sales Department to our Executive Chef, will assist you in planning and creating memories that will last a lifetime. Menus are also available for Engagement Parties, Bridal Showers, Rehearsal Dinners and brunch or breakfast the following morning. Reimagined after 140 years, The Adelphi Hotel is a sanctuary for extraordinary escapes and unforgettable experiences. Perched along historic Broadway, the hotel features thirty-two lavish guestrooms and suites, accompanied by redesigned common areas and innovative dining spaces. The Adelphi Hotel houses two diverse dining experiences. Located in the rear of the hotel, The Blue Hen by David Burke specializes in sophisticated cuisine, premium wine selections and impeccable service. Morrissey’s Lounge, nestled near the lobby, features a variety of creative small plates, sushi and hand-crafted cocktails. In addition to unparalleled dining ventures, The Adelphi Hotel features eight newly transformed events spaces, that beautifully accommodates the spirit of any occasion. Whether you’re planning a stunning engagement party, holiday social or full-scale corporate fundraiser, The Adelphi Hotel welcomes groups of 15 - 300 with style and sophistication. Hospitality, fine dining and unrivaled events, The Adelphi Hotel awaits all of your Saratoga adventures. 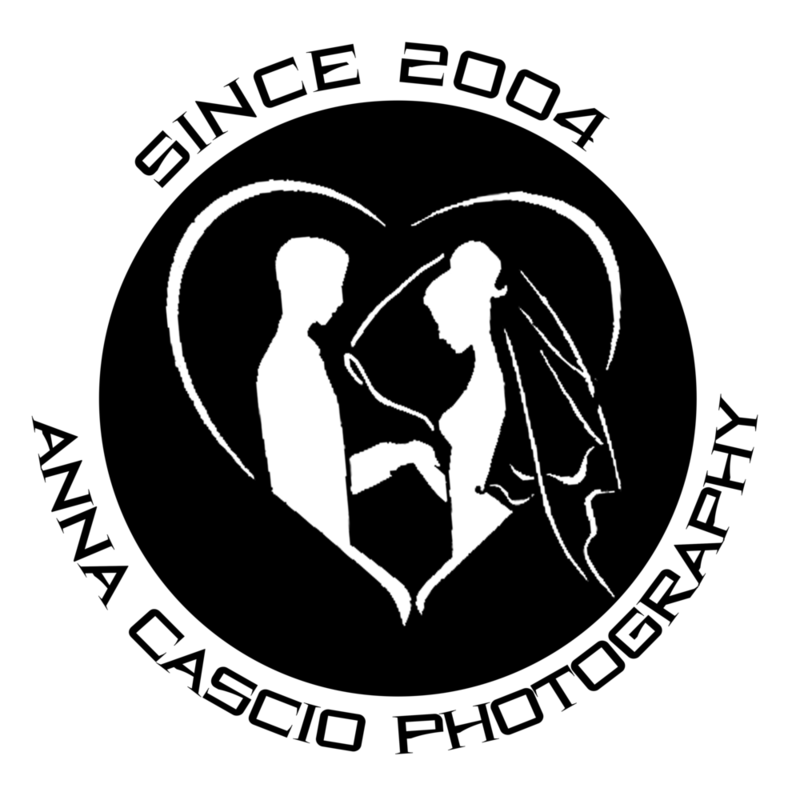 If you are a romantic bride looking for a photographer to capture the love and uniqueness of your wedding day, look no further than www.annacasciophotography.com. My studio’s wedding photography combines elements of portraiture, photojournalism, and art in order meet each brides individual needs and preferences. For the brides looking for an exciting and differentiated experience, underwater photo shoots (in pools) and views from the sky (via my FAA drone certification) are also available - let’s not be boring, right? Brides love my full service studio which includes a kick-off meeting to understand your wedding and photography goals, followed by hundreds of touched-up images with print rights and private online albums to share with friends and family. I also provide custom wedding albums, canvas prints, and aluminum portraits - accented with swavorski crystals and pearls. Come meet me for more information, I would love to be a part of your special day! Struggling to find the perfect gift to express appreciation to your bridal party, parents and guests for being a part of your big day? Let The Empire Crate express your gratitude in a unique way, showcasing a variety of hand-picked artisanal NY food products that will have your guests and wedding party leaving with a gift they can look forward to enjoying! The curators at the Empire Crate can take away the stress of putting together favors for everyone at your wedding. We can design a selection of delicious products from all over New York State that reflects your personalities and the pride that you feel for your home turf of NY. It's all about the details. Consider The Empire Crate as a warm and welcoming gift for family and friends who come from out of town for your wedding day and stay overnight at an area hotel. The Empire Crate is a meaningful way to thank them for coming and sharing in your special day! Let us design an expression of your love...we'll create the perfect Empire Crate for you! Karen Izzo is the independent owner of Team Ambition. It is an at home health and wellness business that provides fitness, nutrition and support for people who want to transform their lives physically and mentally. Customers can access our online streaming fitness platform with over 700 workouts, easy to follow nutrition guides and one on one mentoring within our community. What’s your idea of the perfect Saratoga wedding? Do you picture delectable food, an unforgettable outdoor setting complete with a white tent and fresh flowers, and a magnificent view of the Adirondack Mountains? Or, maybe you envision you and your groom dancing the night away in a classic and historical Saratoga Springs venue, or saying your vows amid the treasured memories of your family home? We’d be honored if you chose us to help you cater and plan your wedding, and we would make it our goal to deliver on your dreams, onsite or off. We’re creative and collaborative, and we firmly believe that flexibility is the first rule of engagement. Our expert staff will become part of your family for five of the most important hours of your life because we believe every couple, on every budget, deserves an exceptional experience. Brittany Is the proud owner of The Make-Up Lounge LLC, in Schenectady NY. The Make-Up Lounge LLC is a full service Beauty salon including Makeup and Hair for all occasions, and Eyelash Extensions. 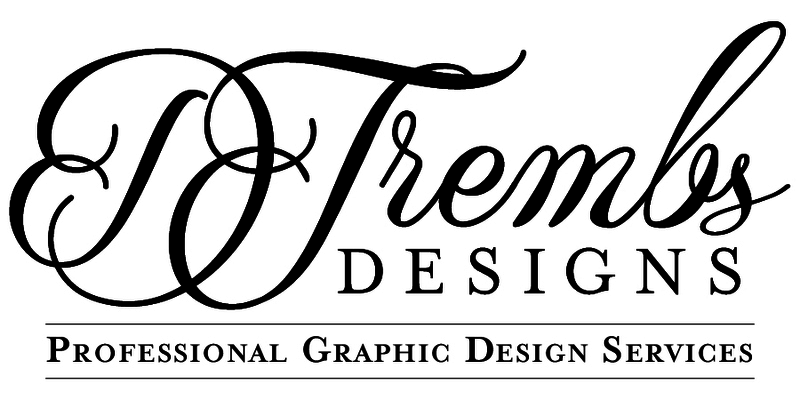 Brittany and her team are all professional Licensed Artist who specialize in Bridal Makeup and Hair. When you book The Make-up Lounge for your wedding day, your not only booking professionals but your booking a glam squad who you want to spend your morning with and getting glammed by. Being part of your special day means everything to us, and we will make sure you have everything you need from start to finish. When you are in our chair you can just sit back, relax, and get your glam on. We offer both on site and in salon services for the day of your wedding. What's your wedding style? Do you like romantic, elegant, maybe whimsical, rustic or perhaps nature inspired? You have found your soulmate, now let us help you find your home, so that you can live happily ever after….! With over thirty years combined experience, Kathie Carswell and Kelly Waechter are skilled in finding the best housing solution to meet your needs. Whether it is an apartment, condo, townhome or house, they will scour the Capital District to match your budget and desired features. Kathie and Kelly will support and guide you through the entire process, and collaborate with your mortgage, inspection and legal partners. We look forward to assisting you as you begin your life together, and as your needs grow in the future....! Frank Gallo Florist has been creating floral arrangements here in the Capital District since 1920. With a staff of over 30, we have the ability to handle any sized event. Designers from Frank Gallo Florist designed flowers at numerous Rose Parade floats, Winter and Summer Olympic Games, Super Bowl XLVIII and at the White House. It will be our pleasure to work with you on your wedding to create a memorable day! Futia's Tuxedos - Bridal and Prom Gowns is a family owned business. Futia's has been renting tuxedos and suits to local families since 1963. Tailoring is an important aspect of the business. The best looking tuxedo will look even better when it is tailored exactly to perfection. Futia's has the knowledge of how a perfectly fitted tuxedo should look. Nino, the owner, learned his craft of tailoring while he was an apprentice in his native country of Italy. Styles have changed a great deal over the years, but some things never change. Futia's always treats customers as if they are family, making service paramount. Free Grooms Rental with 5 or more paid rentals! Futia's also carried a unique collection of Bridal Gowns, and Mother of the Bride Gowns. Sample Bridal gowns have been discounted , and are available right off the rack. There is always a sale rack for mothers gowns. I am all about building a customer base of amazing women looking to take great care of their skin, their wallets and spend their consumer dollars with a locally based company that gives back locally! It’s more than “just music”, in fact you are offered an experience! You will experience that warm, tingling feeling you get in your heart when your new husband leans toward you and whispers “I love you” as you are announced to make your grand entrance. You will get chills when you hear the familiar music and you are asked to partake in your first dance as husband and wife. You will partake in a dance environment where every song is precisely aligned with the mood of the moment, capturing the spirit of the event while seizing the opportunity to make it memorable. Our experience as your entertainment provider allows you to relax and enjoy. Imagine being stress free at your wedding reception. We want you to feel like a guest at your own wedding reception. We Do Fondue- Chocolate and Beverage fountain rentals in Albany, Troy, Schenectady, Latham, Clifton Park, Saratoga, Rensselaer, Glens Falls, Lake George, Hudson, Catskill, Amsterdam, Schenectady and everywhere in between. Serving a 100 Mile Radius of Albany, NY. Going with the FLOW since 2004 at over 2100 events from 20 -10,000 guests. Over 480,000 people served! OUR SWEDISH CHOCOLATE-MAKES "EVERYTHING BETTER" Elevate any special event. For the Saratoga wedding of your dreams, look no further than the unique venue options you’ll find at Saratoga Casino Hotel. At The Lodge, you’ll find historical Saratoga elegance in an intimate setting that can accommodate up to 120 guests. Featuring beautifully inlaid cedar walls, pecan floors and French windows, The Lodge offers a picturesque backdrop for anyone’s special day. Looking for an outdoor wedding? We offer a fully customizable outdoor tented space in a serene, charming setting that can accommodate larger groups up to 200. Our Hotel Ballroom also offers a more traditional event space that can be fully customized to your liking. With Morton’s The Steakhouse and Vapor just steps away, we’re also the perfect venue for rehearsal dinners, as well as bachelorette or bachelor parties. No matter the size of your wedding or budget, we’ll work with you every step of the way to make it great! Fairytale Florist believes that flowers are one of gods little miracles. We takes pride in providing fresh, unique, creative, custom, one of a kind flower arrangements for all occasions especially bridal designs. We specialize in providing service through the whole planning stage with extra special attention payed to the details. Come sit down with Fairytale Florist for a complimentary consultation and plan the floral details. Located across from the historic Saratoga Race Course, the oldest operating track in the country, and minutes from downtown Saratoga Springs, NY, the National Museum of Racing and Hall of Fame is a beautiful and unique location for your wedding event. The Museum is available for wedding receptions and ceremonies, rehearsal dinners, bridal showers and wedding anniversaries. Rent out the entire Museum, the Sculpture Gallery, or the Hall of Fame Gallery for the night. Your guests can tour all the amazing galleries and with their beautiful art and artifacts, there is really no need for additional decorations! Cruise Planners, an American Express travel representative, is your LAND and CRUISE experts. We will help you navigate the vast ways to travel. We’re an award winning, quality-driven company that has access to incredible deals, special amenities and provides impeccable service. We are a locally family owned franchise that prides itself on customer service satisfaction. Let us show you thousands of destinations around the world. We can help you find great vacation packages, all-inclusive resorts, hotel deals, and cruise opportunities. We carefully craft vacations so you can have an extraordinary experience. Please check us out at www.photobooktravel.com or 1-800-269-8068. Let Cruise Planners turn your travel dreams into reality!